In my experience, little ones love to cut! They cut paper, they cut playdough, they cut, well, whatever they can get their hands on while they have scissors! It is important for them to learn how to properly use scissors though. Scissor skills are great for building up the muscles in little hands in preparation for writing. Totschooling has created a product to do just that! 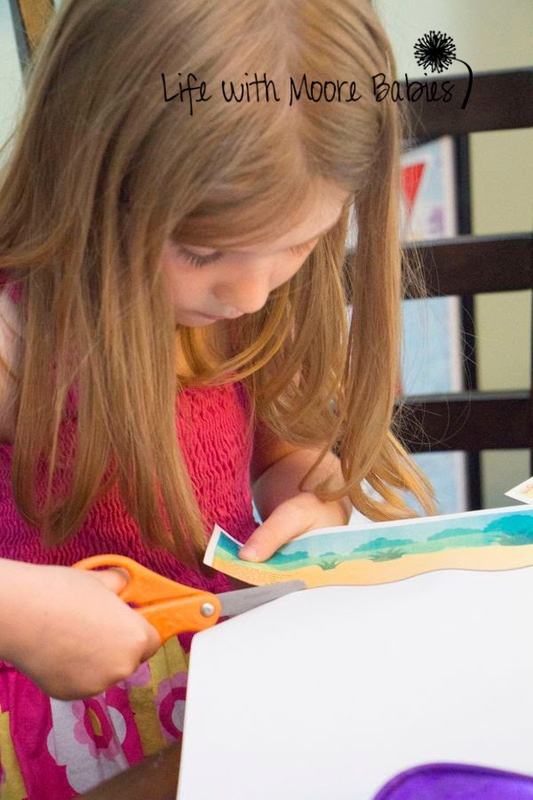 This printable product has lots of cutting practice for kids ages 2 to 6 as well as some drawing and gluing practice! 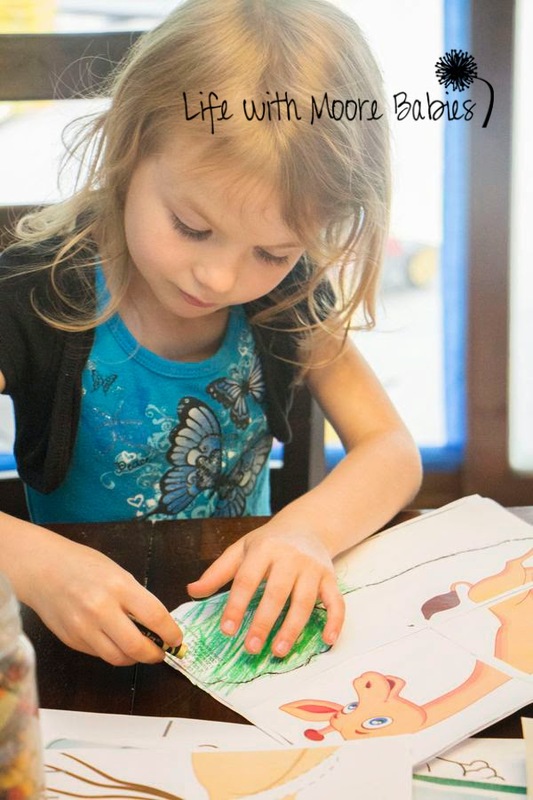 This pack includes fun illustrations parts of which the kids interact with by cutting, gluing, tracing, or coloring rather then just lines on a page to cut or trace. 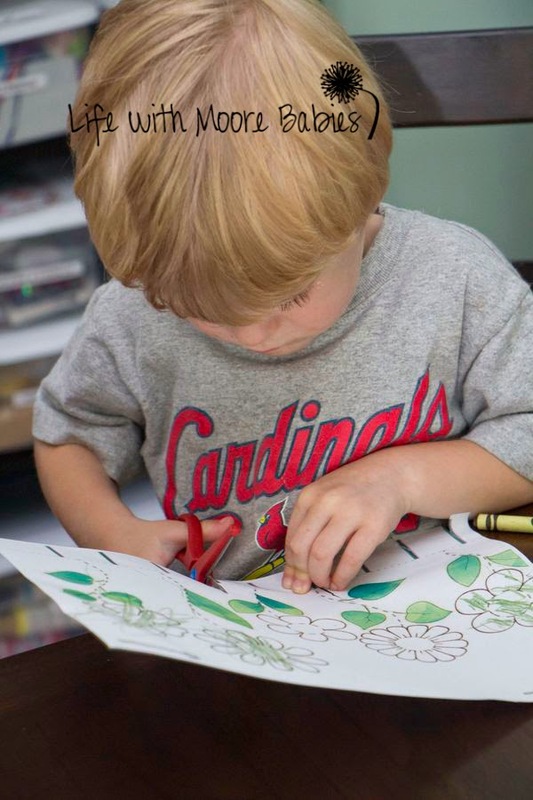 There are 20 activities in all and all contain cutting plus most contain tracing, gluing, drawing, and coloring. 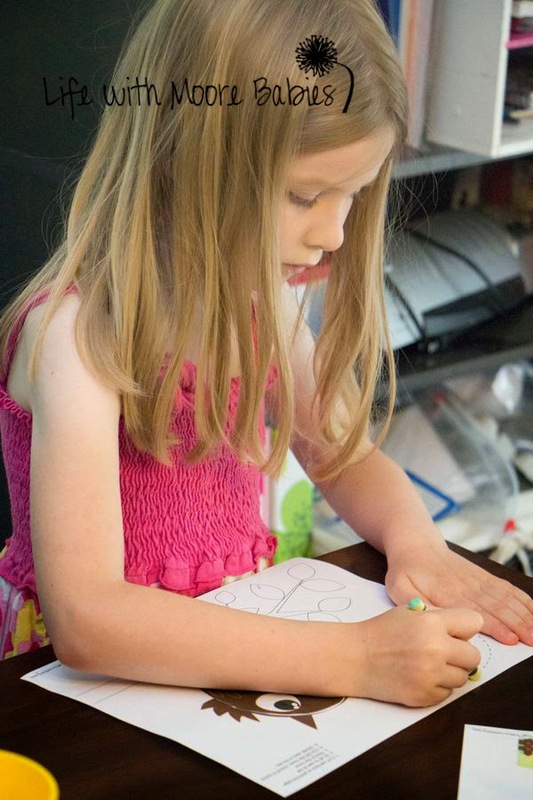 The first pages are simple lines to cut along with some curvy lines to trace and fun pictures to color. I started here with my little guy (almost 3). 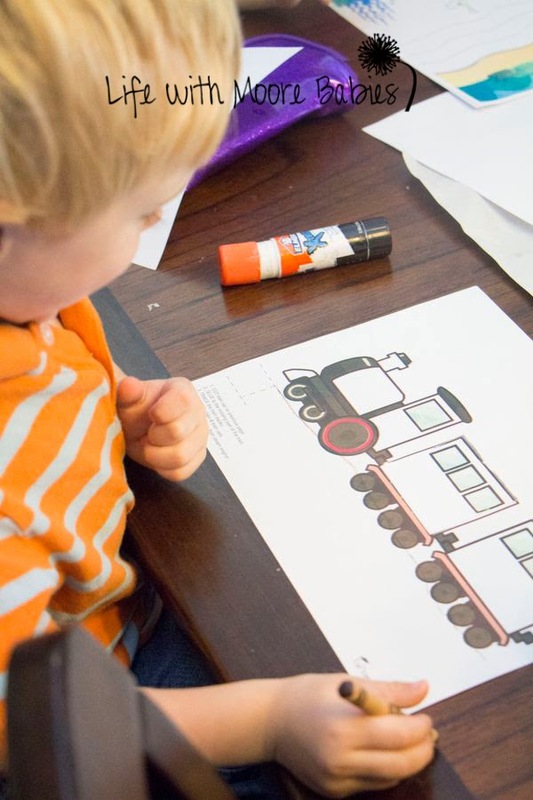 He did one and then wanted to move on to the page with the train! It was a bit advanced for him, but with some help we got it cut and glued then he added the tracks. The activities in the pack increase in difficulty for the 4 and up crowd. They include cutting zig zags, wavy lines, and a variety of shapes. The girls (5 and 6) each picked out a few to complete. The other great things about these page is the fact that the instructions are printed on each activity. This allowed the girls to do them without much assistance; they simply read the instructions themselves and proceeded with the activity! 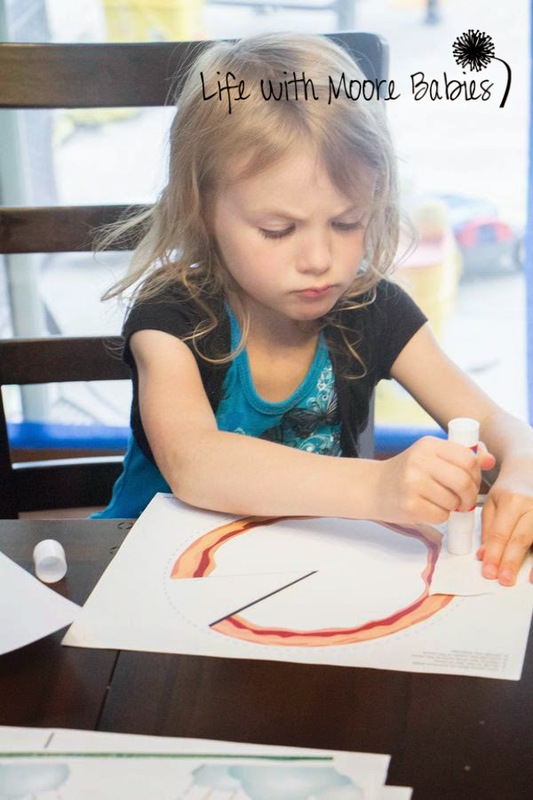 So not only do kids get to practice cutting, gluing, tracing, drawing, and coloring they also get to practice following directions all while completing fun pictures! 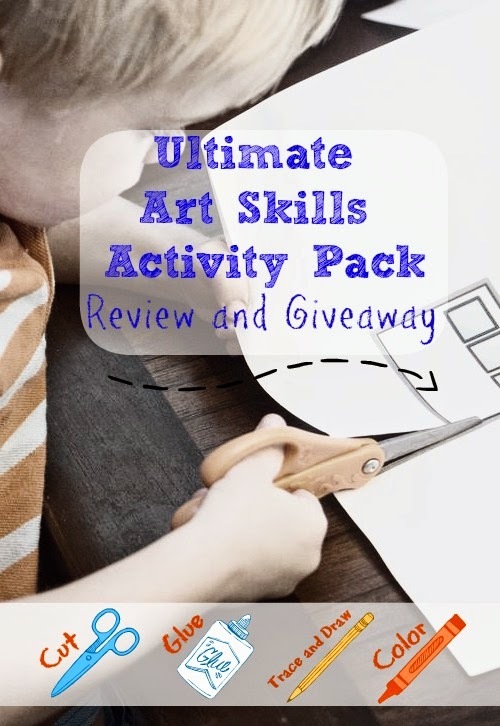 To purchase the Ultimate Art Skills Activity Pack head over to Totschooling now! The printable download currently sells for $4.99, and then you can use the pages over and over. I think it would be fun to start while they are little and compare their progress each year (guess that is just the sentimental part of me coming out)! The lovely creator is also kindly giving away a set to one lucky reader! Good luck to you all and be sure to stop by Totschooling to check out all the great activities and printables as well as the Ultimate Art Skills Activity Pack!